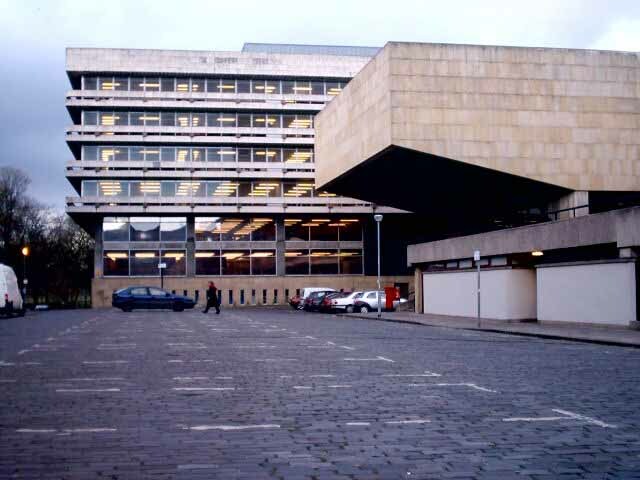 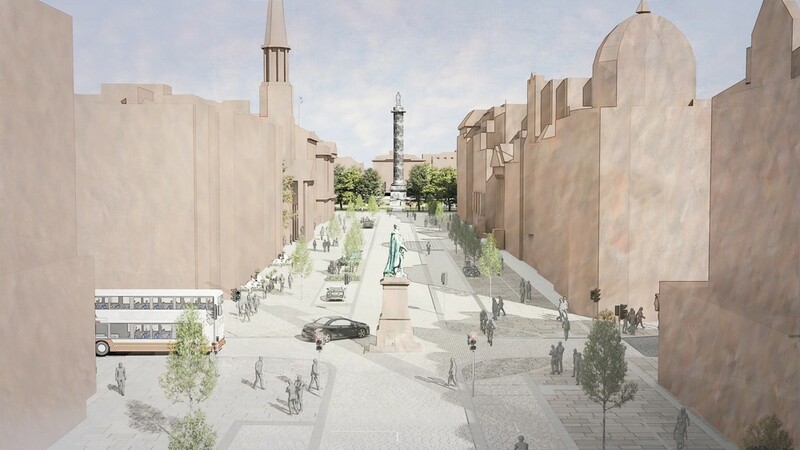 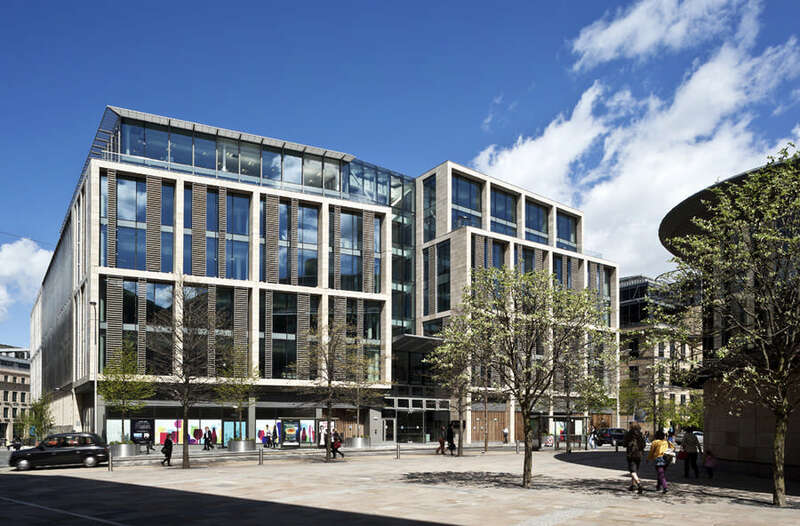 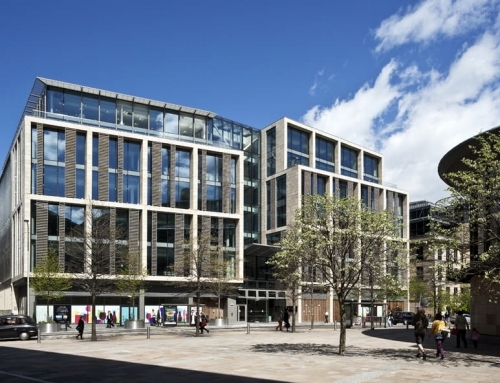 Balfour Beatty, the international infrastructure group, announces today that it has been awarded its 22nd project for the University of Edinburgh for the renovation of the university’s 1960’s William Robertson building at 50 George Square. 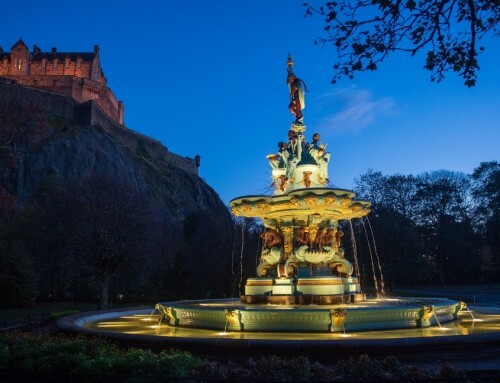 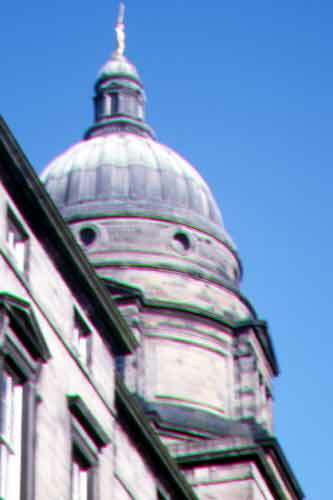 50 George Square is a Grade B listed building located close to the heart of the city of Edinburgh. 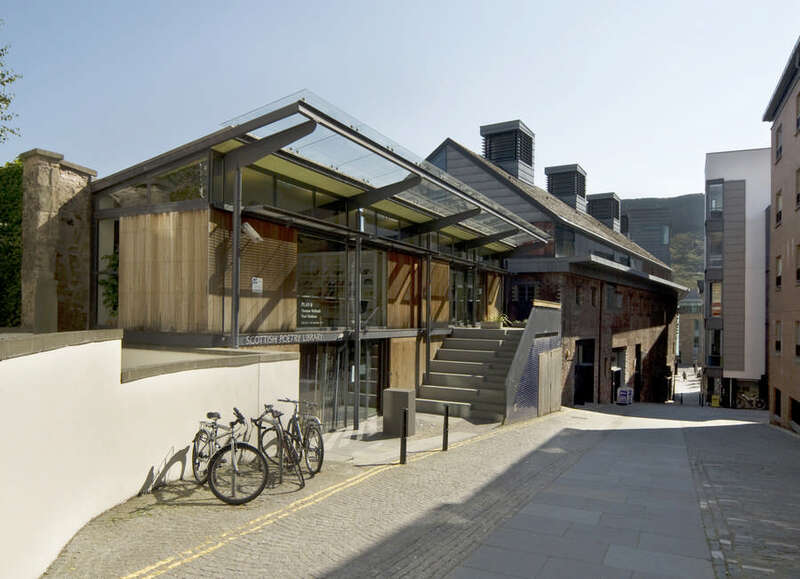 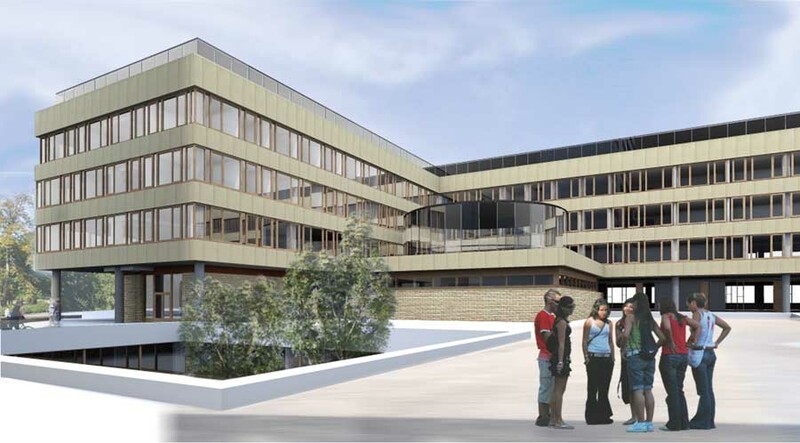 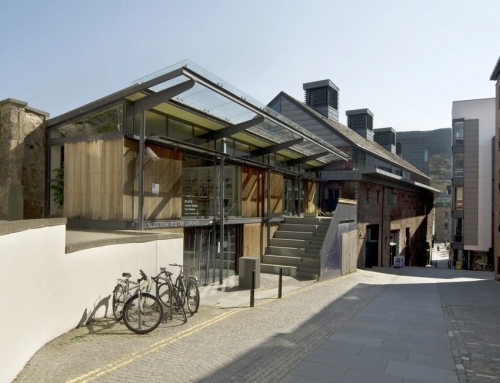 The £12.1m four storey refurbishment project includes the construction of a new storey at rooftop level to form a project room above the existing lecture theatre for the School of Literatures, Languages and Culture. 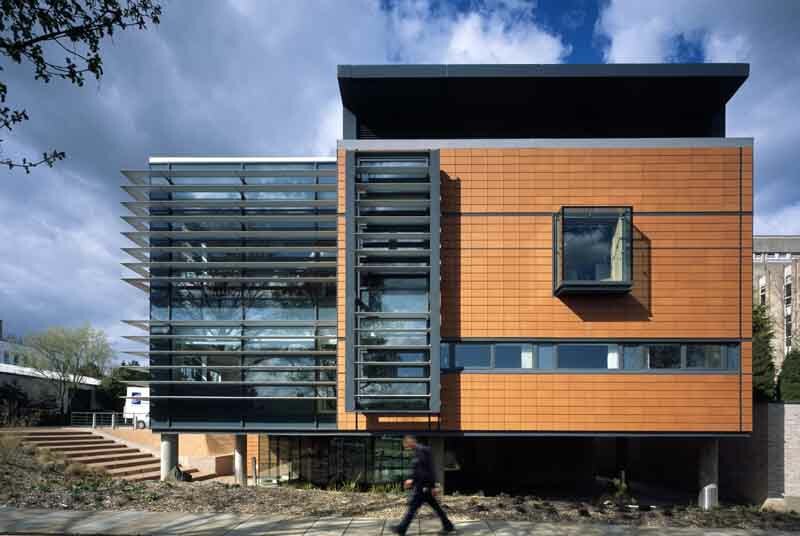 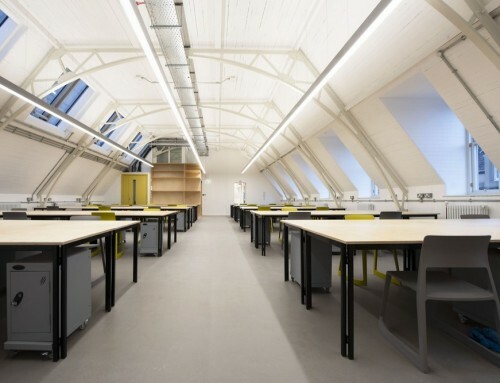 Award winning Page Park are the architects for the refurbishment works. 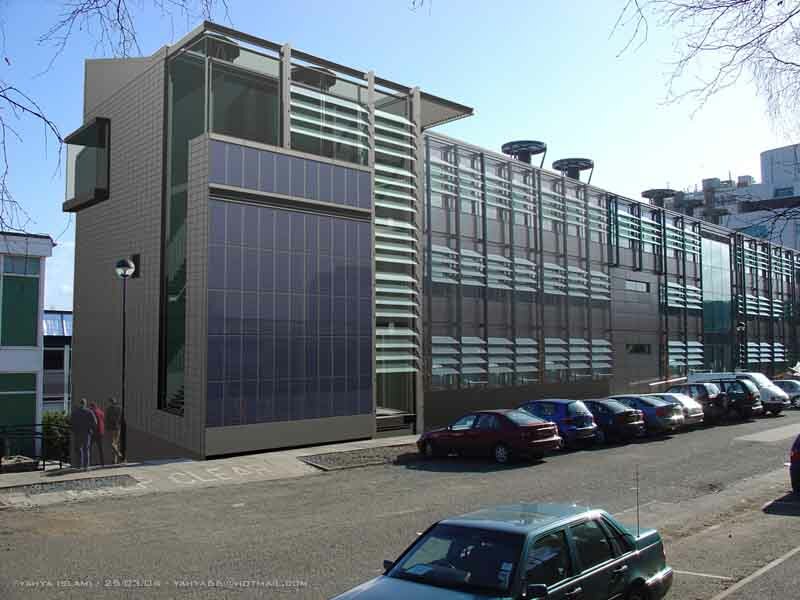 The building will be fully insulated with energy efficient materials and new hard and soft landscaping around the building will be created. 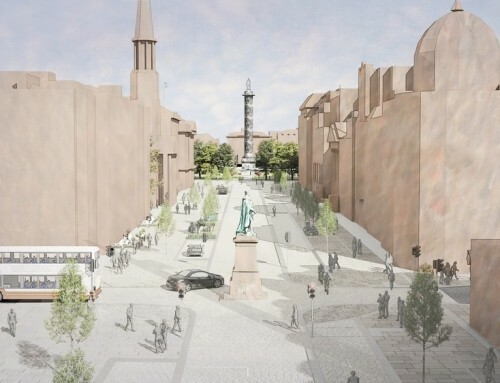 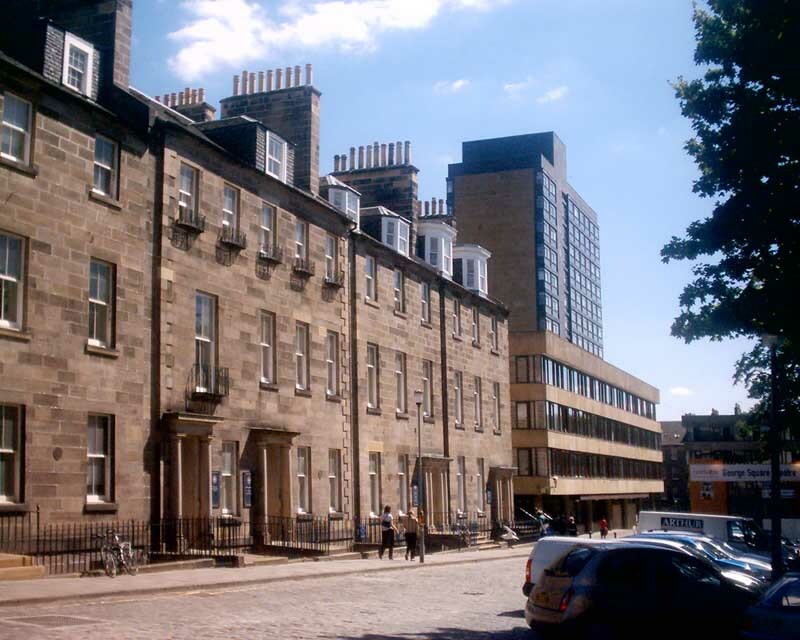 This contract award is testament to the strength of the relationship Balfour Beatty has with the University of Edinburgh and adds to the growing portfolio of Scottish refurbishment schemes that Balfour Beatty has established in recent months. 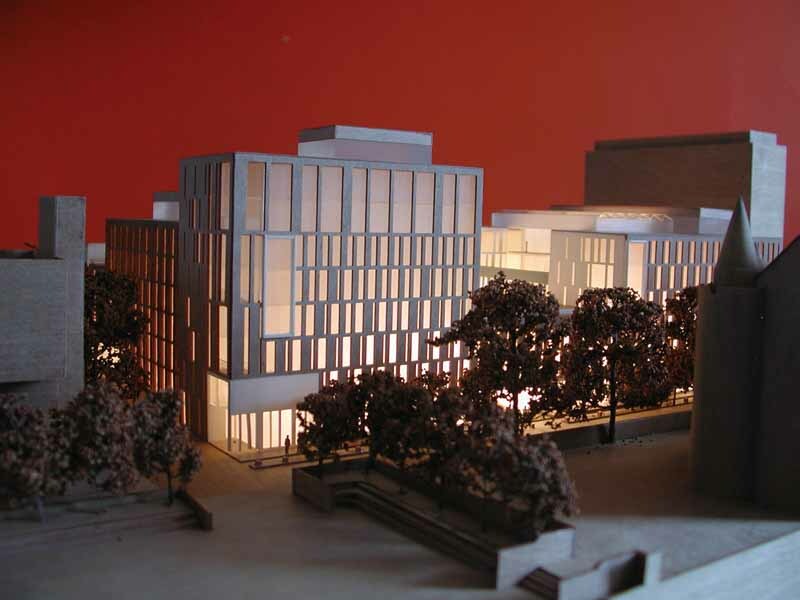 The project is due for completion in Spring 2014. 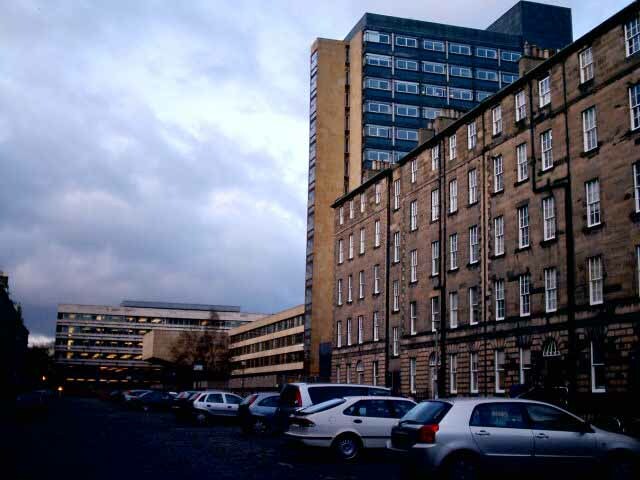 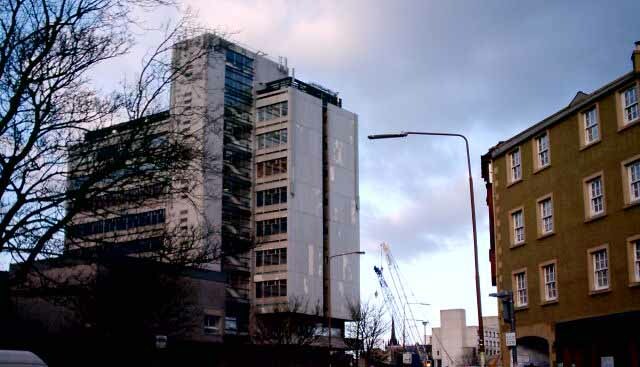 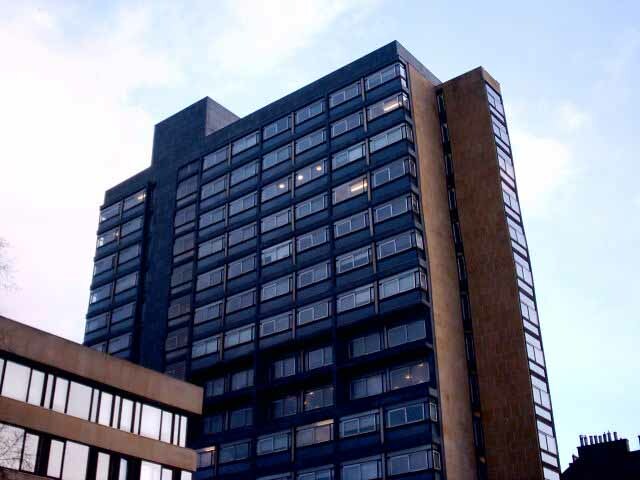 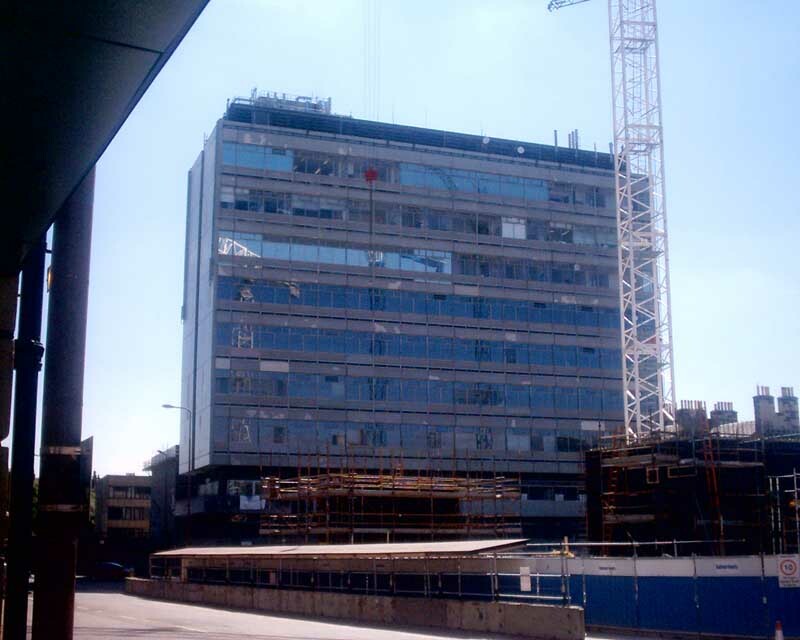 The George Square building [on Crichton Street] was constructed during a redevelopment of the area by Edinburgh University in the early 1960s. 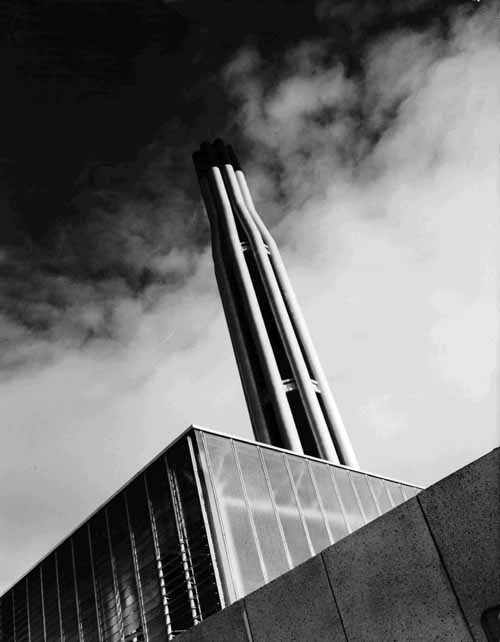 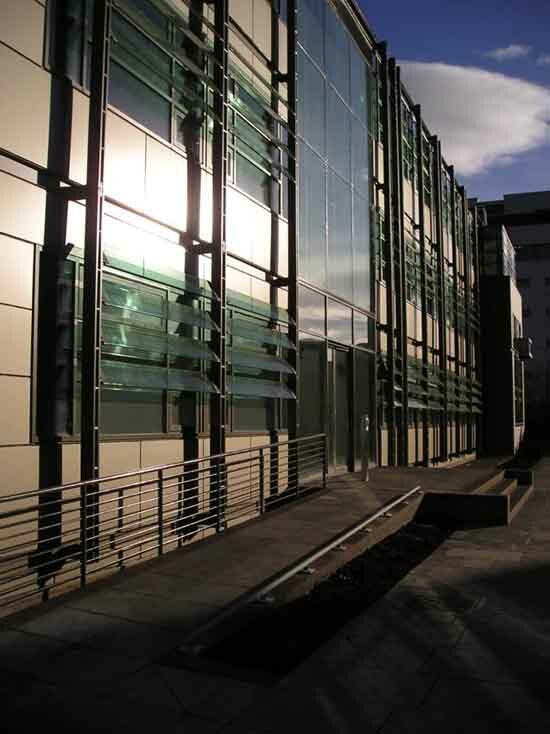 Designed in 1963 by respected post-war Edinburgh architects Alan Reiach, Eric Hall & Partners (latterly Reiach and Hall Architects who are now involved with Bennetts Associates on the new Potterow building – Informatics school, see below link) the Science Facility includes labs and lecture theatres. 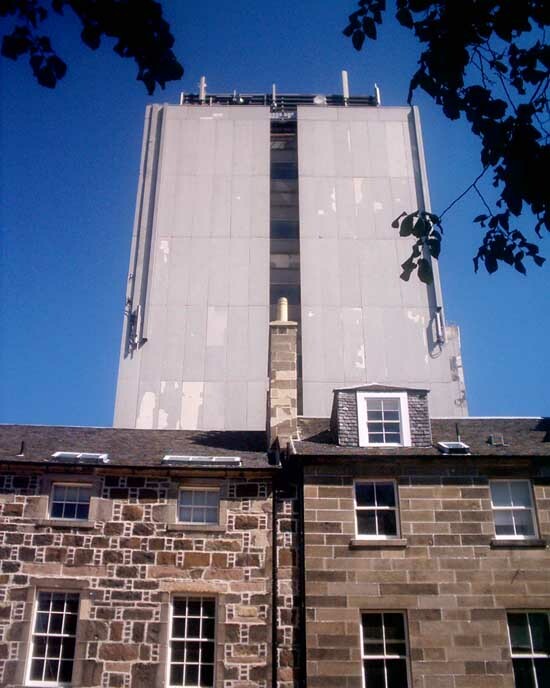 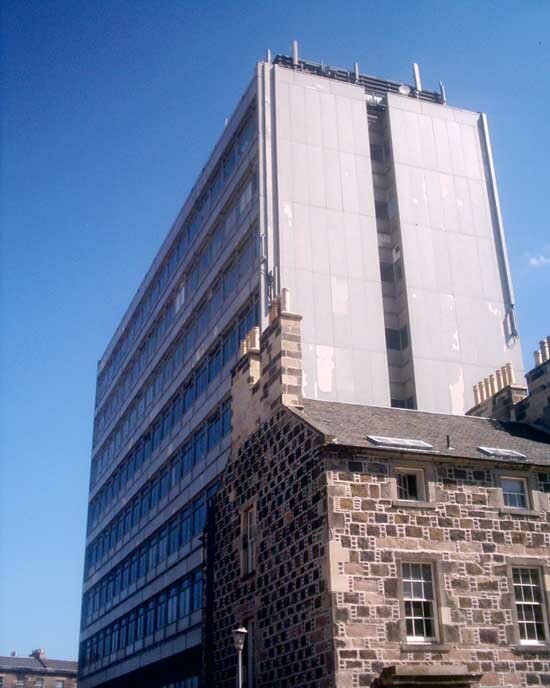 The Appleton Tower provides research, teaching and learning facilities; the Edinburgh University School of Informatics is now housed in the tower following the Old Town Fire, with the neuroscience department. 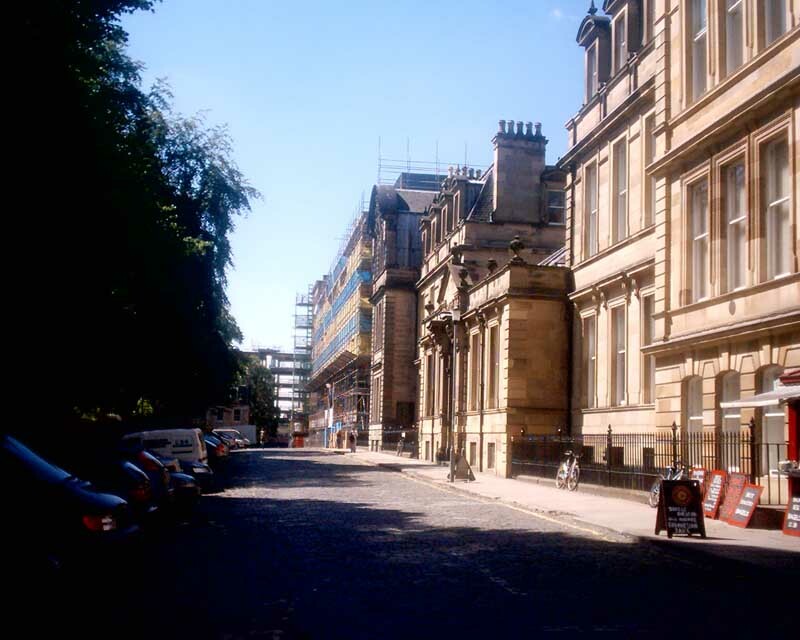 Back towards the centre, note the McEwan Hall, University of Edinburgh, Teviot Place, Robert Rowand Anderson.